Sport Ireland has contacted the FAI in search of 'urgent clarification' on John Delaney's €100,000 bridging loan to his employer in 2017. The statutory authority, which is responsible for the distribution of State funding to Irish sporting bodies, has requested further information from the FAI board. FAI statements issued over the weekend have said that Delaney provided the funds to deal with a short-term cashflow problem. Last night, a statement from Sport Ireland said that it was not made aware of any problems in 2017. It has written to FAI President Donal Conway in search of details. 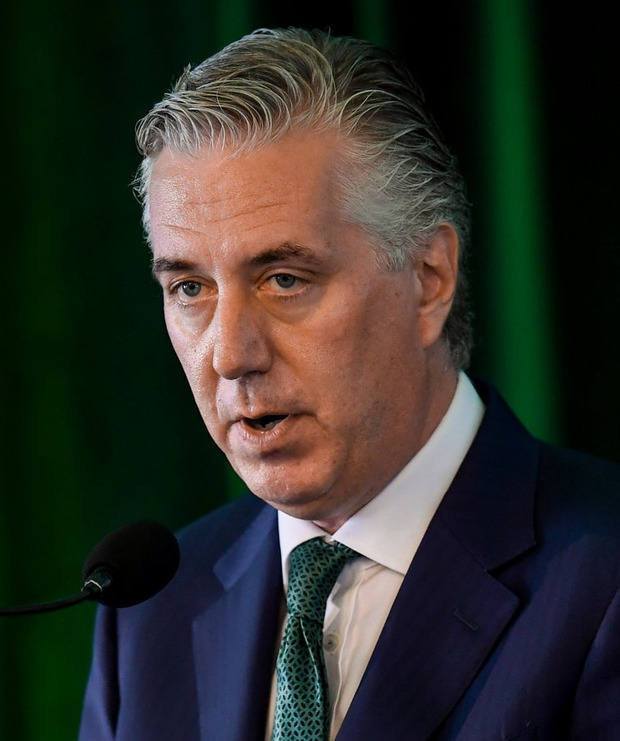 The FAI said it is preparing a reply, and added that the correspondence from Sport Ireland CEO John Treacy was sent on behalf of Transport, Tourism and Sport Minister Shane Ross. Sport Ireland's statement said that the agency had "written to the president of the Football Association of Ireland seeking urgent clarification from the board of the FAI on media reports concerning a loan to the organisation by its chief executive, including the circumstances of the loan and its repayment. "Sport Ireland was not notified at any stage in 2017 about any apparent material deterioration in the FAI's financial position, as per Sport Ireland's terms and conditions of grant approval, and has sought additional clarification in relation to this matter." The FAI's missive said that the "association are currently preparing a reply to Mr Treacy and will respond at the earliest opportunity". In recent weeks, it has emerged that the FAI requested the early drawdown of funding from Sport Ireland between 2015 and 2018. When documents confirming the arrangement were released to the 'Irish Sun', an FAI spokesman said: "Sport Ireland facilitated an early drawdown of funding to aid the development of the game, at all levels, during a period when international fixtures are infrequent." Accounts for the FAI in 2017 show that Sport Ireland gave the organisation €2.7m in grants for football programmes.